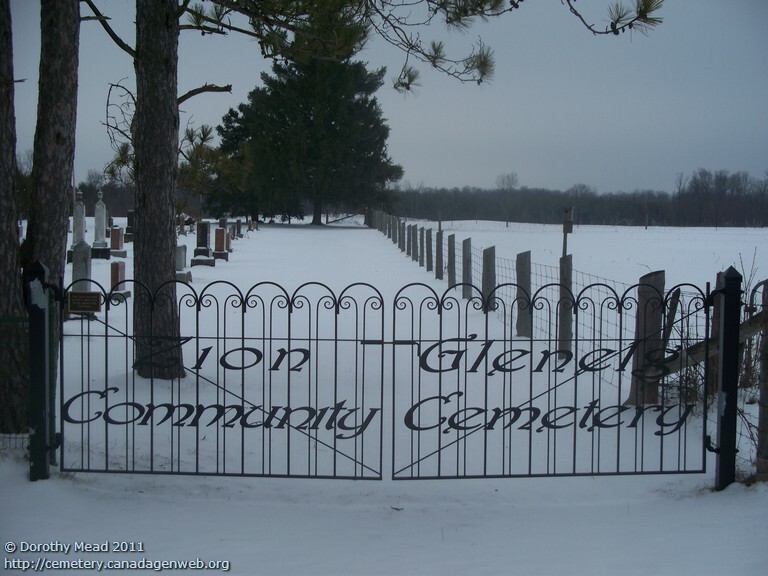 Registered to Zion Glenelg Community Cemetery. From Dorothy Mead: Land was donated by the owner of the property, Thomas Blair and wife Ann Hendrick. In 1856, their son Thomas, fell into the river while working building the Traverston Mill, contacted pneumonia and died Jan 1, 1857. 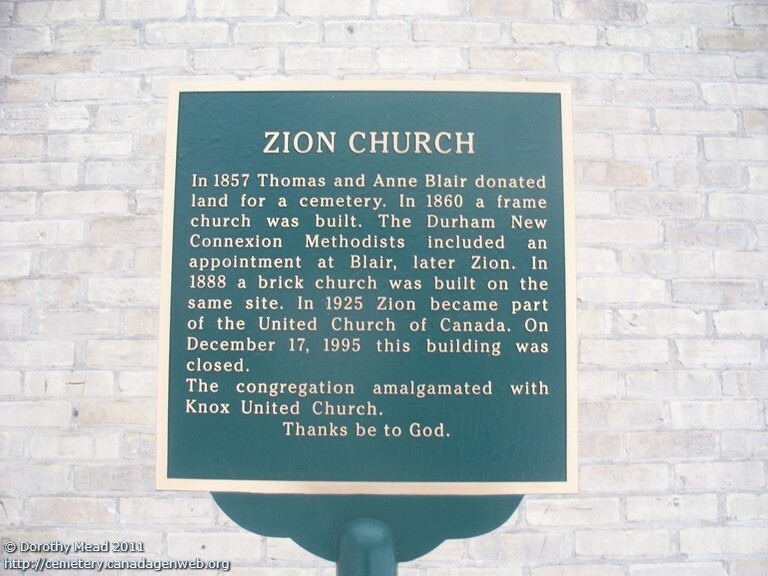 There was no graveyard in the area so the Blairs buried their son at the corner of their land, later donating an acre for the Cemetery and the site of Zion Church. 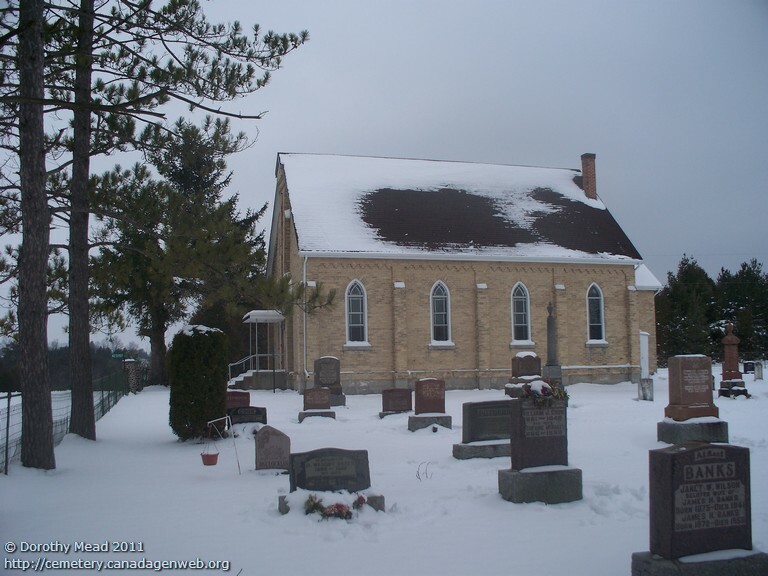 There are still burials in the graveyard but the church is closed. Fire number 423707.